On August 7th, 2010, Keith Drumright died of a self-inflicted gunshot wound. 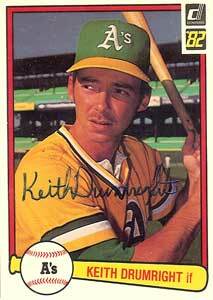 Keith was by no means a great player, and no doubt most baseball fans would be hard pressed to remember him. 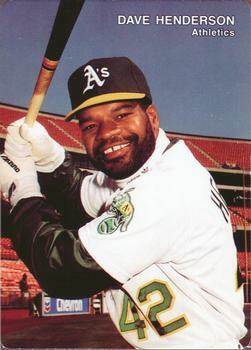 He had only 141 ML at bats, 34 hits, and a career average of .241. (never hit a homer) Keith left behind a girlfriend, 2 daughters and 6 grandchildren. He was 55 years old. I was surprised to find out during my research that 55 current or ex baseball players had taken their own lives. Modern day notables include:Donnie Moore, Mike Flanagan, and Hideki Irabu. Women are more likely to attempt suicide, but men are more than four times as likely to die if they do attempt suicide. One reason is that men tend to choose more lethal methods. They more often use firearms and kill themselves the first time they try, as in Keith’s case. I’m not going to contemplate what was going through Mr. Drumright’s head as he embraced the “great beyond;” it could have been depression or financial issues. But as I sit here typing into my little laptop wondering about how much time I have left on this crazy planet, I look over to my girlfriend who smiles at me, and everything is alright again for the moment.